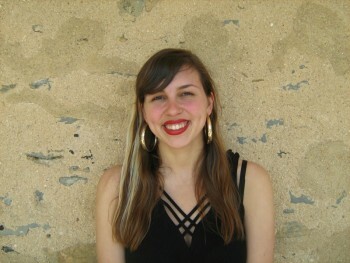 Hannah Silverblank '12 has been awarded the 2012/13 Lionel Pearson Fellowship. The fellowship, which is given annually by the American Philological Association (APA) to one senior undergraduate, provides up to $25,000 to an American or Canadian classics scholar to fund academic, housing, book or travel expenses during a period of study at an English or Scottish university. Silverblank, a comparative literature and Latin double major, will use her fellowship to earn a Master of Studies in Greek and Latin Literature and Language with a specialization in Reception Studies at Brasenose College at the University of Oxford next year. According to Assistant Professor of Classics Bret Mulligan, who nominated Silverblank for the Pearson, she is the first Haverford student to ever win the honor, which is only one of two awards that the APA offers to undergraduates. Silverblank, who is the editor-in-chief of the Haverford journals Body Text and Margin and who recently helped organize the Divas Conference on campus, is especially grateful for the help that her classics professors (William R. Kenan Jr. Professor of Classics and Comparative Literature Deborah Roberts, Assistant Professor Robert Germany and Mulligan) offered her not just in the fellowship application process, but also in her course of study here at Haverford. After completing her year abroad, Silverblank hopes to return to the United States to pursue a Ph.D. in comparative literature and/or classics, and would eventually like to be a professor. But for now she is busy finishing up her senior year and making plans for her time in England. â€œI'm really looking forward to punting on the Cherwell,” she says, referring to Oxford's iconic boating sport and river.